It has been a long time since I updated the series about my guests. 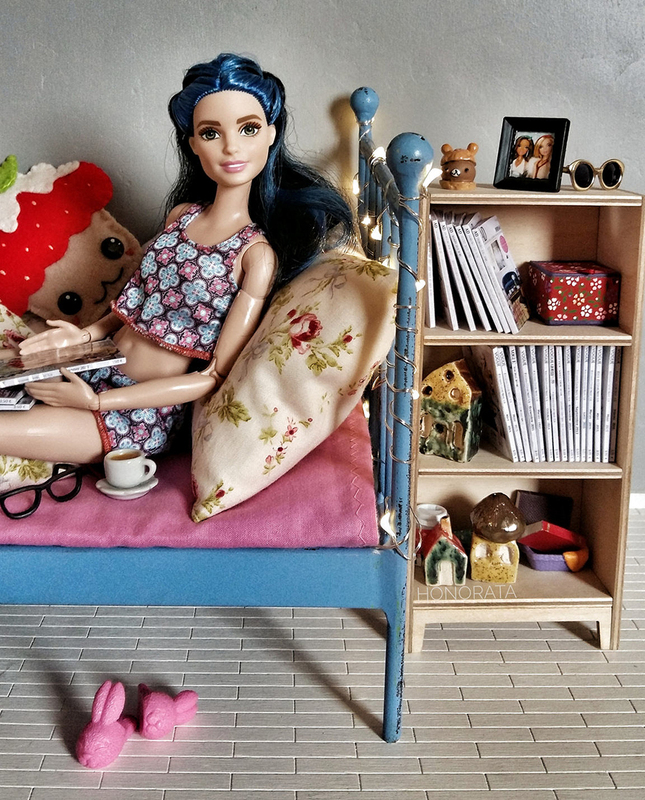 It is about doll collectors who take great photos with their dolls and items made by Minimagine. My guest today is Honorata. As you can see above, she is very talented in miniature knitting. 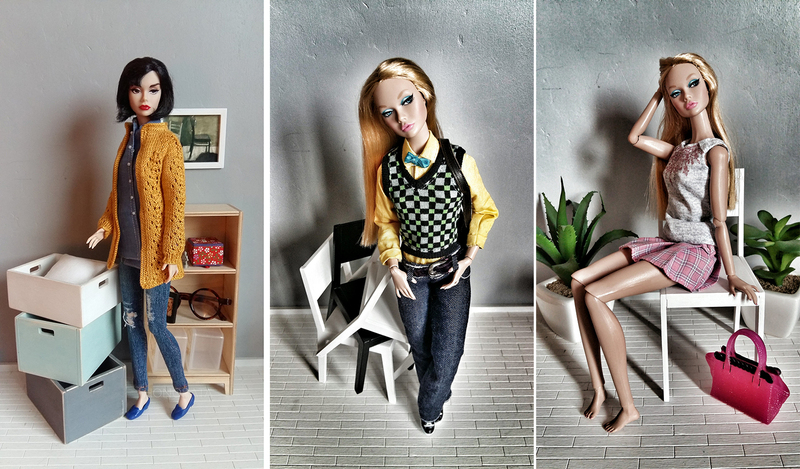 These awesome cardigans are made by her. I wait for green one. Clothing rack and boxes by Minimagine. 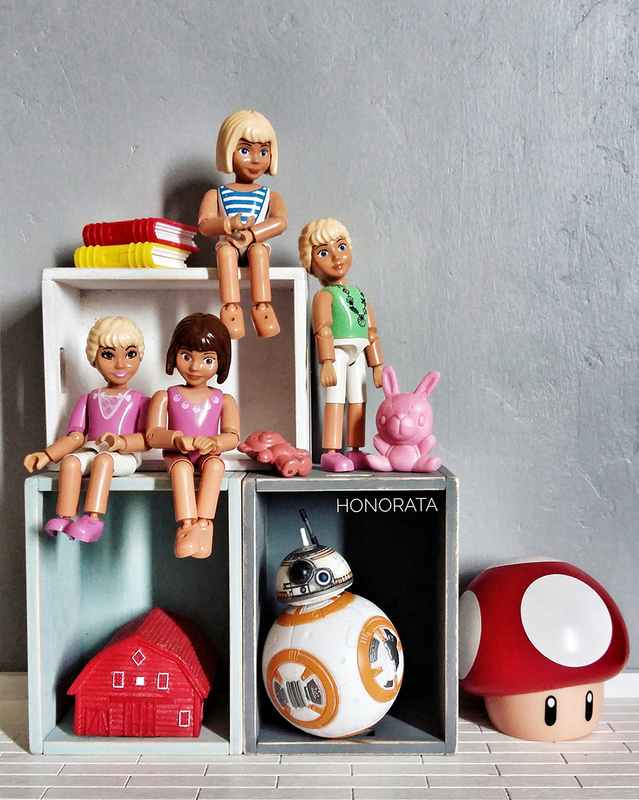 Honorata collects various dolls: Barbie, Momoko, Poppy Parker, Blythe and BJD. 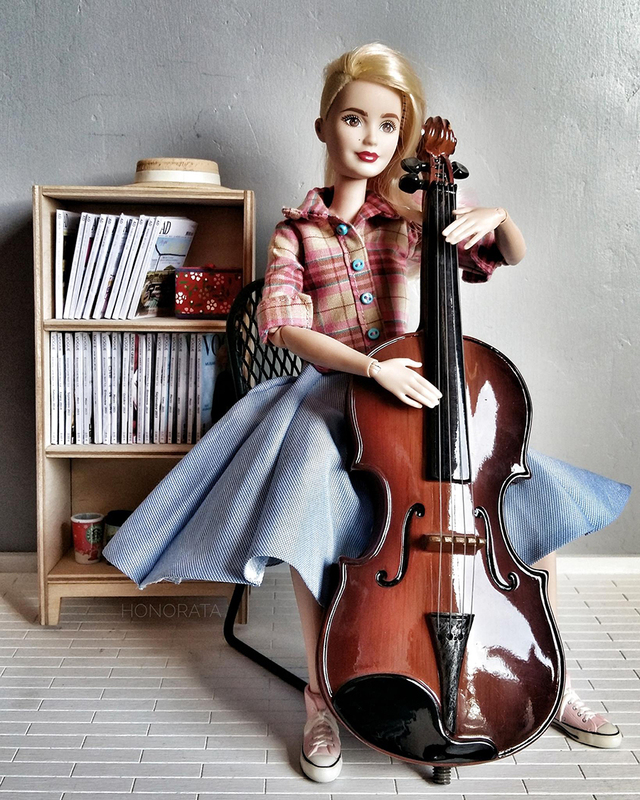 Some of her dolls are musically talented. In these pictures you can find grey wall and white floor made by me. I don't know what these "dolls" above are but I like this picture very much. 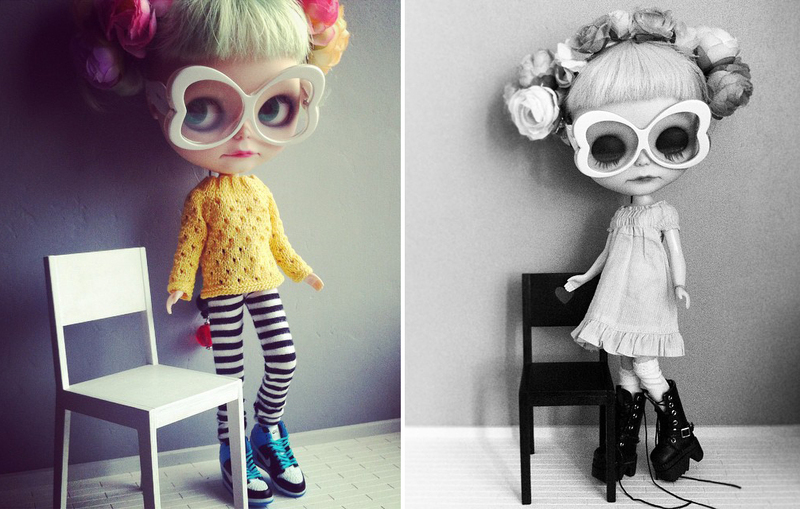 Gwen is one of a kind Blythe doll with lovely glasses and flowers in her hair. 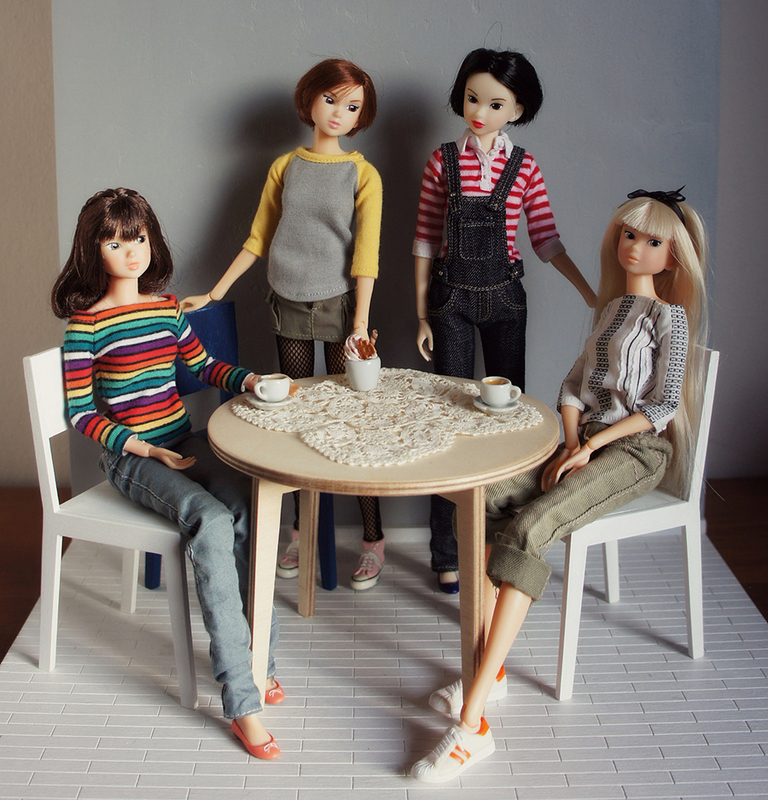 Momoko and Poppy Parker dolls use Minimagine's furniture too. Here are: white chairs similar to 601-07, black chair 601-06, a bookcase and boxes. 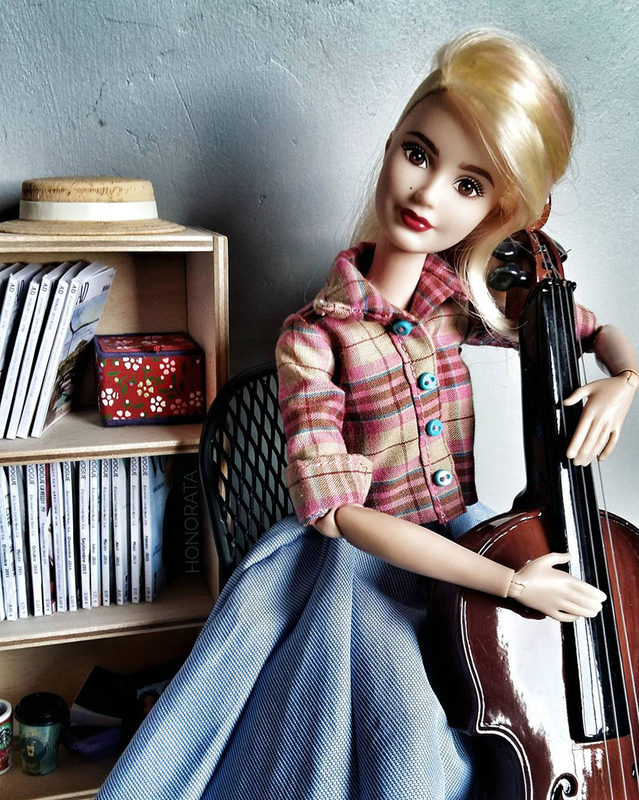 Here are links where you can find Honorata: Dollpic fanpage, Instagram and Flickr. All photos in this post are property of Honorata and I have her permission to use them here. Really great photos! Honorata is obviously talented! I am going to have to look her up! Those sweaters are amazing! Thank you in Honorata's name. 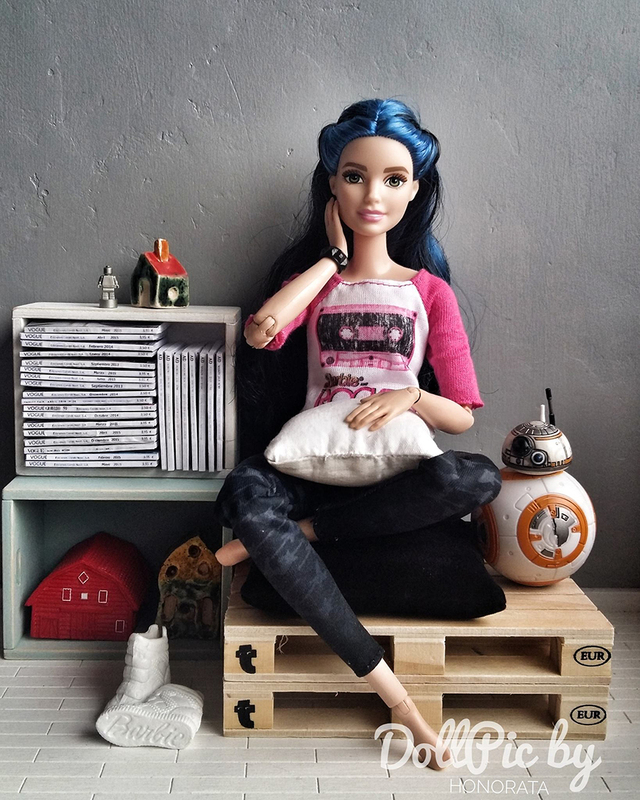 I ordered green cardigan and my dolls can't wait to wear it. Uwielbiam Twoją perfekcję! Cudne detale! 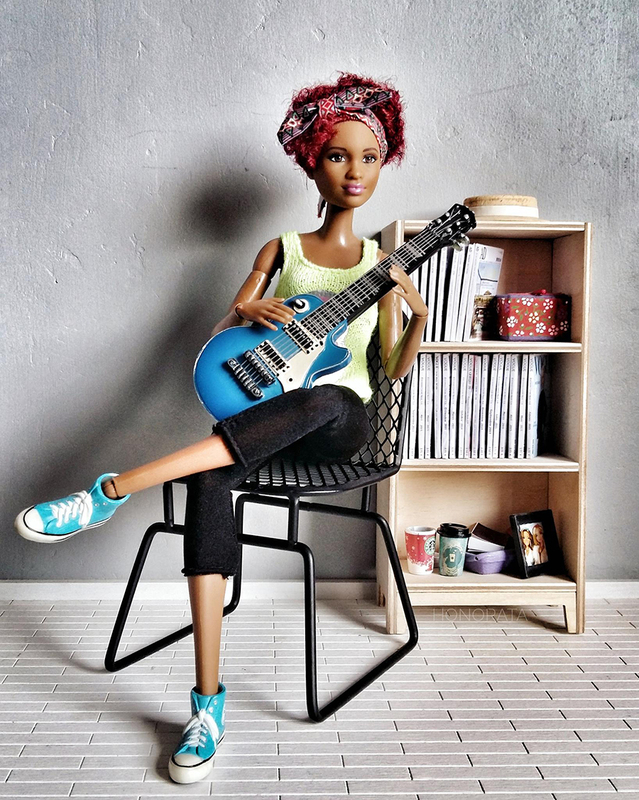 Fist - I would like to thank you Milena for inviting me & my dolls here - IT'S SUCH A PLEASURE!!! !